I love the “Love and Devotion” series. 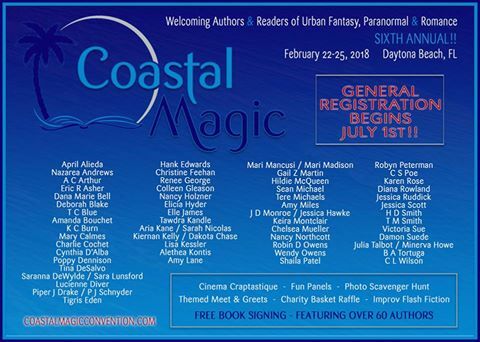 Can’t wait to attend my first Coastal Magic this year! This will be my third year. I love Coastal Magic. You’re going to have so much fun. I can’t wait to go to Coastal Magic again and see Tere. My first Coastal Magic was a lot of fun. We played paintball with an Author. Tons of fun! Darn, I missed the paintball. But it was tons of fun. I love Tere’s Faith, Love & Devotion series! This will be my first Coastal Magic also. You’re going to love it, Gwen. It’s such a laid back event, and so much fun.